Reports says that Microsoft is expanding its tablet ambitions as the sales of desktop and laptop computers are sinking. More than half of the tablets sold in the last quadrant were less than 8 inch in size and that’s why Microsoft thinking of tablet market. 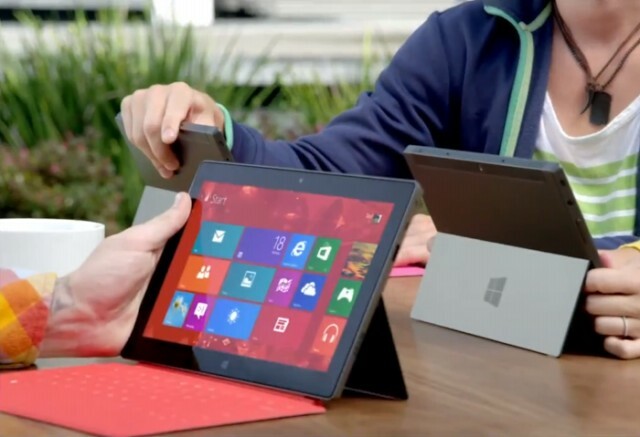 According to The Wall Street Journal, Microsoft is working on a 7-inch version of the Surface tablet. Other than this there is not any detail leaked about what it will consists or what is packed in the tablet and its specification. WSJ does say, however, that the tablet will go into mass production later this year. Earlier this year Company has launched its Surface tablet pro. To know more about this read our article on it Microsoft Surface Windows 8 Pro Tablet To launch On Feb 9 For $899. With this news it is also reported that Microsoft also is planning price breaks for its Windows and Office software as part of a strategy to spur lower-cost touch-screen devices enabled by its Windows software. Microsoft also is continuing to test its own smartphone, although it isn’t clear whether it will bring such a device to market or not. What you say will you buy a mini surface tablet? Share your views about it via comments below.